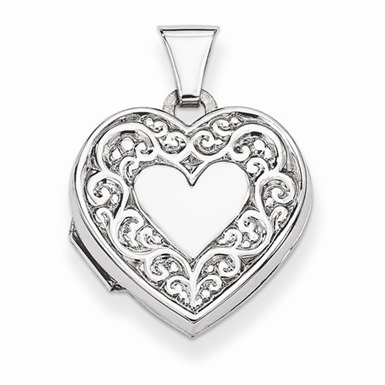 Silver heart locket necklaces hold the charm of the past in the beauty of the present. Choose from our quality and unique selection of silver heart lockets, pendants, and necklaces crafted in .925 sterling silver. 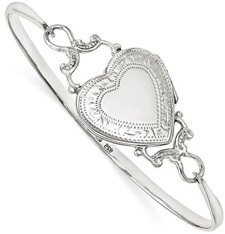 Choose from paisley scrollwork heart designs to plain and polished or hearts with crosses on them. We strive to pick only the most unique locket designs at the most affordable prices. Every heart locket comes with free shipping and Apples of Gold's 45-day return policy.